Some things were simply made for eachother. A few examples: Coffee and milk, Angelina and Brad, Romeo and Juliet (okay, there was no happy ending for those two but still)... But if there were such a thing as soulmates in the world of food it would be peanuts and chocolate. Preheat the oven to 170°C and cover a baking tray with some parchment paper. Cream together the butter with the two sugars. Add the peanutbutter and the egg. Combine everything until creamy. Combine the dry ingredients in a separate bowl and fold unter the peanutbutter-mix, until everything is combined. Do not overmix. This only takes about 2 minutes. Form the dough into balls of about 2 cm in diameter, put them on the baking tray with enough space between them and lightly press them down. 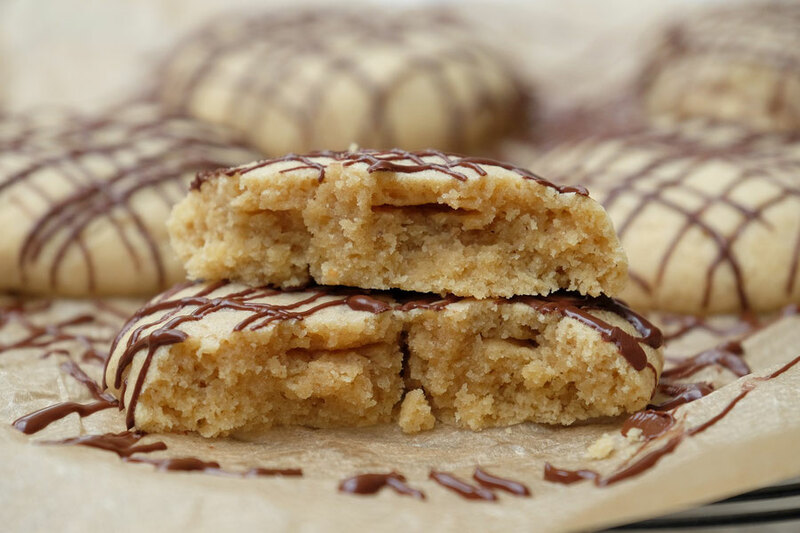 Bake the cookies for about 12-13 minutes or until the edges are lightly golden-brown. lLet them cool completely. Melt the chocolate over a double-boiler or in the microwave. 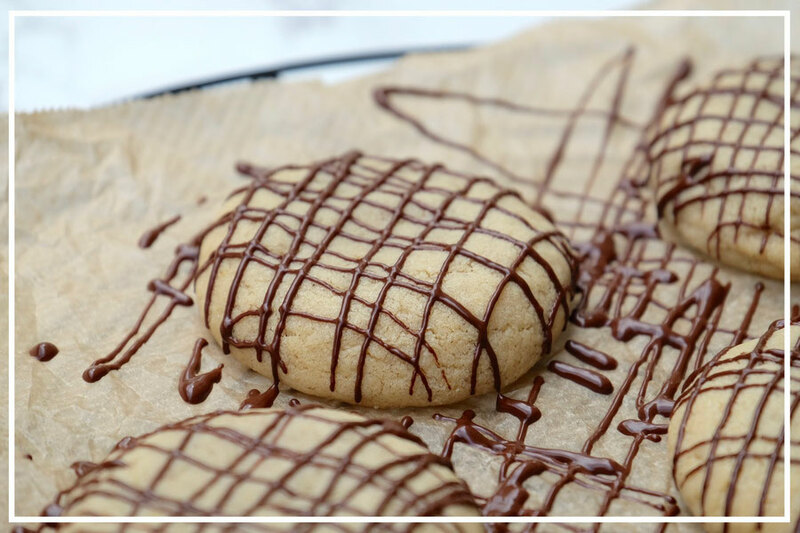 Fill a piping bag or something similar with the chocolate and drizzle it over the cookies.